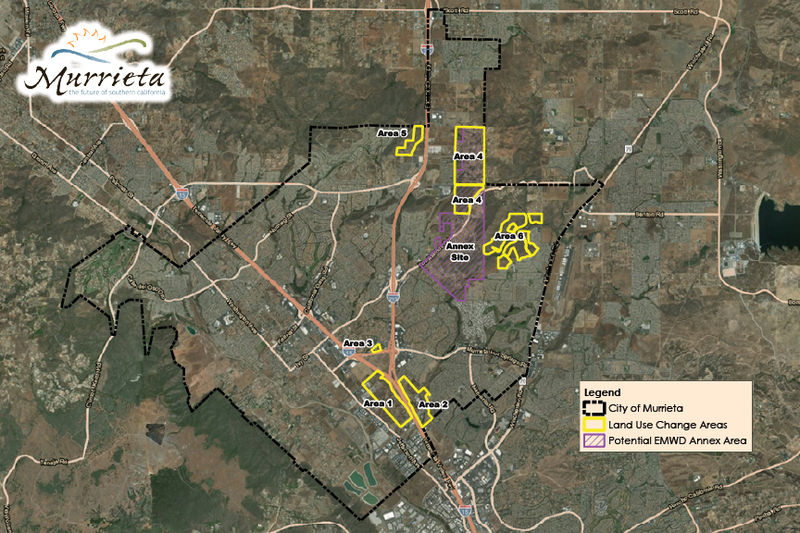 The City of Murrieta’s General Plan Update and the Supplemental Environmental Impact Report! Thank you for participating by taking this survey. The City of Murrieta is updating the General Plan to ensure it’s consistent with new state legislation that has occurred since its last adoption in 2011. In addition, the City is looking at key specific areas throughout the City to evaluate land use designations and/or make the General Plan consistent with existing conservation agreements. Your input is important in helping to guide the Land Use Planning Program. * 1. Are you a resident of Murrieta? If yes, what can the City do to help further your business interests from a land use policy perspective? * 3. Please rank your responses on a scale of 1–5 with 5 being highly effective. How effective are the City’s efforts in improving its roadways, trails, and bikeways to reduce automobile trips? * 4. Please rank your responses on a scale of 1–5 with 5 being highly effective. How effective are the City’s efforts in managing the effects of wildland fires, flooding, and/or extreme weather storms? * 5. Please rank your responses on a scale of 1–5 with 5 being highly effective. How effective are the City’s efforts in balancing environmental issues in lower income neighborhoods? * 6. What type of shopping or entertainment would you like to see in Murrieta to limit travel to neighboring cities? * 7. How can the City improve its services during wildfires, floods, and/or extreme weather storms? * 8. What could Murrieta do to make the community more inclusive of residents most exposed to environmental issues and/or left out of the planning process? Thank you for participating in this survey. Your input provides extremely valuable insight into your community and will be utilized in the development of the General Plan Update. Please encourage friends and family to take this survey as well!